MAKALA BARITONE UKULELE. THE COMPLETE PACKAGE. EVERYTHING YOU NEED. Location: /Instruments/Ukulele/MAKALA BARITONE UKULELE. THE COMPLETE PACKAGE. EVERYTHING YOU NEED. 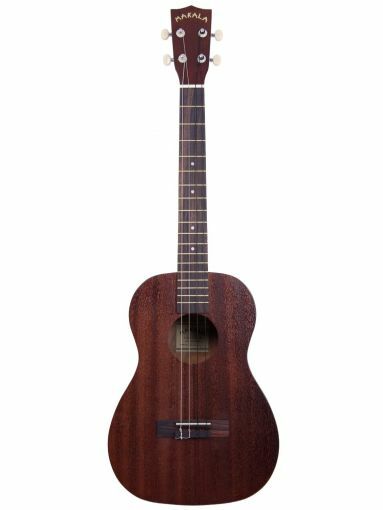 The Makala baritone ukulele is probably the best choice for the 'serious beginner'. At such an affordable price, it is incredible value for money. The baritone ukulele is the big daddy of the ukulele family. It about the same size as a half size guitar - although, unlike the guitar, it still only has four strings. However, it is quite similar in that it is tuned the same as the top four strings of the guitar D.G.B.E. 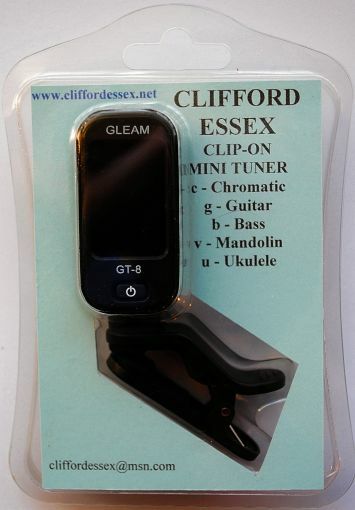 Clifford Essex can supply strings for players who prefer G.C.E.A, or A.D.F#.B, tuning. 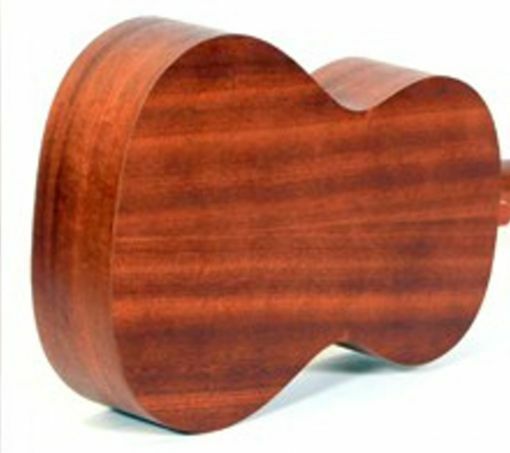 A catalogue of baritone ukulele (tuned D.G.B.E.) chords in photo/diagram form grouped by type. Major, minor, seventh, diminished, augmented, and ninth chords are all shown in all keys in fretboard photos and diagrams. Major seventh, minor seventh, sixth, minor sixth, seventh augmented fifth, and seventh diminished fifth chords are shown in diagram form only. 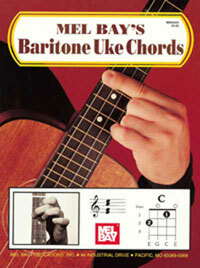 Also includes helpful photos and information on the correct way to hold the baritone ukulele and the pick, and on tuning the baritone uke. A ukulele strap that requires no modification to your ukulele. 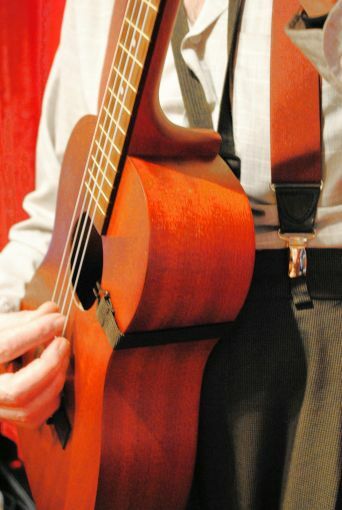 Traditionally favoured amongst classical guitarist the sling strap runs behind the instrument, up underneath to the front and a small hook then catches onto the sound hole. The weight of the ukulele then sits in the sling. The benefit is that your ukulele remains unmodified leaving it in pristine condition. Adjustable from 46 to 66 cms. Features a 2cm wide nylon webbing strap, and non marring rubberised soundhole hook. We only stock products which we feel are excellent value for money. We also ensure that every instrument is set up perfectly before it leaves our premises. Many times customers have brought us instruments purchased on line which even a professional could not play simply because they have not been set up properly prior to being sold. If you purchase an instrument from us you can be sure that when it arrives it will be set up perfectly and be ready to play. Simply the best entry level ukuleles on the market. Sound and playability usually suffer at these affordable prices, but not with Makala. Fantastic sound and looks, and easy on the wallet. 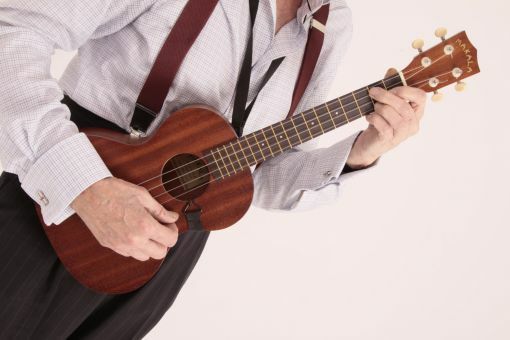 This is a great beginners baritone ukulele package which comes with a great baritone ukulele book of chords and tips, a strong quality gig bag, a ukulele sling plus the Clifford Essex clip-on tuner. We only stock products which we feel are excellent value for money. We also ensure that every instrument is set up perfectly before it leaves our premises. Many times customers have brought us instruments purchased on line which even a professional could not play simply because they have not been set up properly prior to being sold. If you purchase an instrument from us you can be sure that when it arrives it will be set up perfectly and be ready to play. Simply the best entry level ukuleles on the market. 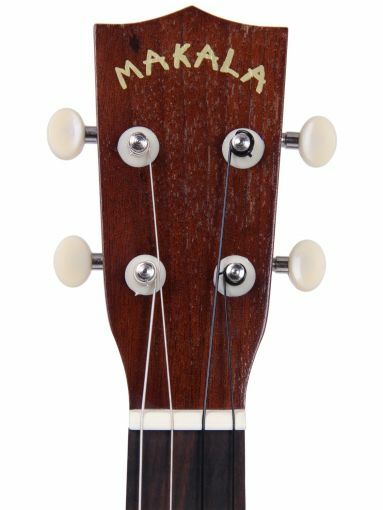 Sound and playability usually suffer at these affordable prices, but not with Makala. Fantastic sound and looks, and easy on the wallet.